Things we don’t see on the tv: Sneaky fracking guys. Politicians. City of Ember. Will we get the sunshine we deserve? Most of the people I talked to this week were in a better mood that usual. Everyone except for the GOP seemed to love Papa Francisco including myself. It’s always when we’re trying to do something else when people take advantage. “On Sept. 17, the League of Women Voters of Florida held a town hall on fracking. The event, which featured speakers from both pro- and anti-fracking factions, was well-attended by people concerned about the idea that utility companies are eyeing our state as fracking’s new frontier. What better time, then, for two state legislators to quietly file pro-fracking bills, while so many activists were occupied? Read the complete text of that bill here. You can read the text of that bill here. Although the U.S. Geological Survey has said that the cause of recent quakes in Dallas is not clear, a study released in May by Southern Methodist University concluded that stresses caused by “oil and gas activity” in the area are likely contributors. Then I found this article. “That was the message from a press conference held Monday afternoon in St. Petersburg, as state Representatives Dwight Dudley (D-St. Petersburg), Jose Javier Rodriguez (D-Miami), and Amanda Murphy (D-New Port Richey) spoke out against a decision last week by the Florida Public Service Commission that would allow Florida Power & Light to collect up to $500 million per year from customers to further invest ratepayer money in natural-gas production. FP&L has roughly 4.6 million customers, but none in the Tampa Bay area (where Duke Energy and TECO are the main providers). More unelected people stealing thing from us. Fracking is not happening right now in Florida. In late April, a proposal by Naples Republican state Senator Garrett Richter that would put “responsible regulations” in place for fracking failed to advance. Our savings BTW will be 2 bucks a year. We can buy what two cucumbers with that. I can’t even buy the ingredients for my smoothie with that (cucumber, cantaloupe, almond milk, local honey and ice cubes). FPL wants 500 million dollars from you and can’t even buy you a smoothie. Then I found this from last legislative session. Drilling has come under increased scrutiny in the past year, partly because the Collier-Hogan well, south of Lake Trafford, was fracked at the end of 2013. Richter’s bill (SB 1468) defines the process as a “well intervention performed by injecting more than 100,000 gallons of fluids into a rock formation at high pressure” to create fractures to increase production at an oil or gas well. He said the bill was crafted by the Florida Department of Environmental Protection, with input from other stakeholders including Collier County and the Conservancy of Southwest Florida. You can go on the link and read the rest. He said. She said. But here is deal. We want no fracking. Just one more thing we do not need here. My county Martin County said a big fat no to fracking. The vote was unanimous and unequivocal, with Palm City, and Indiantown Commisioner John Haddox leading the way with the motion to sign a state-wide ban on fracking. Why are they in such a hurry? The worst oil price rout since 1986 is beginning to claim victims in the shale oil patch, and now its every man for himself. Investors in shale oil frackers like Goodrich aren’t the only ones writing off huge losses. With creditors of fracking companies taking huge losses on their investments, and with more losses coming, it isn’t surprising that frackers have been basically locked out of the bond market, and regulators are worried that banks are overexposed. So it very interesting that a person who was prescient of bank is all for fracking. Here is a trailer for program that at UCF. It’s called Booktalk. My son was really involved with the project. It was a program that made trailers from books and then showed them to kids so they would get interested in reading. The two people in opening are my son Adam and Dr Kenny. 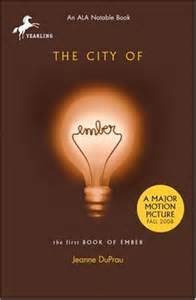 The Book is CIty of Ember. Every time I thing about electricity I think about this trailer. I think about the darkness and I think about the light. Then I think about the sunshine that is completely devoid in the State of Florida. Will they save ember or will the city be lost in darkness forever? Will we be in the darkness forever? Harvard Law School’s Edmond J. Safra Center for Ethics is out with a fascinating new report measuring legal and illegal corruption in American states, and Florida does not fare particularly well. Illegal corruption is “moderately common” in Florida’s executive branch. Illegal corruption is “very common” in the state’s legislative branch. No state has a high ranking for illegal corruption in its judiciary. When it comes to “legal” corruption, Florida falls into the “very common” category in both the executive and legislative branches. Florida is also listed as one of America’s most corrupt states, along with Arizona, California, Kentucky, Alabama, Illinois, New Jersey, Georgia, New Mexico, Pennsylvania, Indiana, Rhode Island, and Texas. The Safra Center compiled its corruption rankings in part by surveying news reporters covering state politics across the country, in addition to the investigative reporters covering issues related to corruption during the first half of 2014. This entry was posted in books, florida legislature, florida politics and tagged cnn, florida, florida legislators, FPL, fracking, Merilee Malwitz-Jipson, Ray Wesley Rodriques, Sen. Darren Soto, Sen. Garrett Richter. ← New Poll: Florida Legislators Reading List. PLEASE VOTE! and why reading matters. Fracking is dangerous and irresponsible to our environment! Please do not let this happen to our beautiful state.